"Adams provides a field day of insult humor and boozy camaraderie in his history of the posh Manhattan club for entertainers, their agents and writers (current membership about 1,040). Born in 1904 as The Press Agents Association, it quickly hit upon the guest-of-honor dinner where the guest was boosted and knocked. Famed members tend to be deeply sentimental about their club and its parties for various charities. 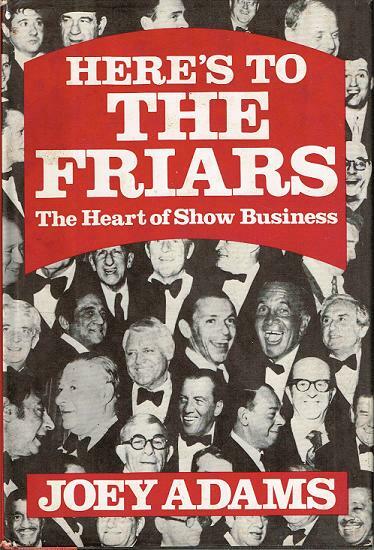 Mainly quotations from roasts, the book has some very funny pages, especially Jack Benny's, and many that are mere melted chicken fat - or worse, like an all-night booze with Dean Martin spluttering verbal hotfoots over his glass."